Vectorworks, Inc., is a wholly owned subsidiary of European software giant the Nemetschek Group. 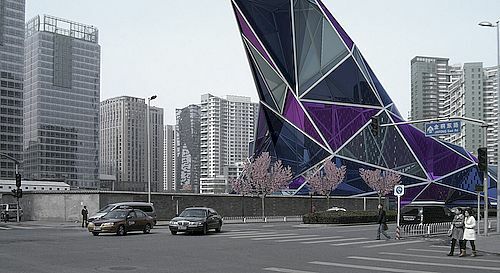 A global leader in design technologies, Vectorworks has been developing computer-aided design (CAD) software for the architecture, engineering, construction, entertainment, and landscape design industries since 1985. The Vectorworks product line is one of the world's best-selling cross-platform CAD applications and has won many industry awards. The Vectorworks family of software includes Vectorworks Designer, Architect, Landmark, Spotlight, and Fundamentals. With the spring 2000 acquisition by Nemetschek Group of Munich, Germany, Vectorworks became the Nemetschek Group's first US-based subsidiary, joining the parent company's network of more than 40 branches and subsidiaries throughout Europe. Dr. Biplab Sarkar, the CEO of Vectorworks, has focused the company on establishing global market leadership. That involves development of new products, entrance into new markets, and expansion into service areas once not considered as viable options. In 2017, Vectorworks acquired Design Software Solutions Limited and opened an office in Newbury, England to better serve its customers in the UK and Ireland. More than 650,000 designers rely on Vectorworks technology. They include world-renowned architects, prestigious landscape architects, award-winning entertainment designers, innovative product designers, and many more. 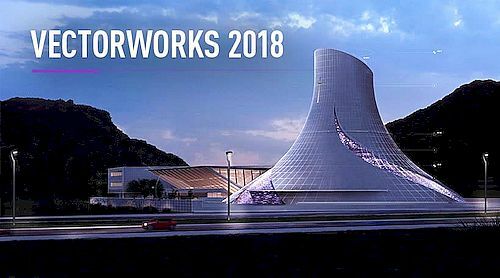 Vectorworks, Inc. has announced release of its 2018 Vectorworks software. 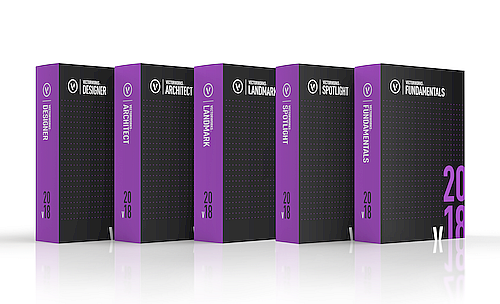 The release includes Vectorworks® Architect, Landmark, Spotlight, Designer and Fundamentals. "With Vectorworks 2018, we focused on user workflows, making them more robust and efficient," said Vectorworks CEO Dr. Biplab Sarkar. "In BIM, you can best see this in our direct section and elevation editing and multiview capabilities, and more subtly in all the Wall tool enhancements that allow designers to correctly model wall constructions so walls appear accurately in plan, section and elevation drawings. The direct site model contour editing and enhanced seating sections are other good examples of our usability improvements." Multiple drawing views: Use multiple views of a project simultaneously, and begin work in one view pane and finish it in another. Switch effortlessly between viewports, views and visibility settings — simply set up panes and view them all at once. Instantly gauge the impact of a design change across 3D, plan, section and elevation views, and even start a rendering in one view while working in another. Robust wall modeling options: Control individual component heights by instance, attach information to them, insert component caps and simultaneously edit multiple selected components from an easy-to-use dialog box. Plus, swiftly make wall graphic display changes with the new ability to switch all attributes by class. New zoom option for video and blended screens: It's now easier than ever to manage the planning and visualization of video screens in designs. With new graphic output capabilities, more accurately understand, estimate and adjust available throw and zoom, to enable final equipment choices earlier in the design process. Enhanced seating section: Choose from additional layout methods, multiple seat numbering options and graphic controls to easily set and modify seating sections from the Object Info palette. Generate more precise seating layout visualizations for an event and automate seating schedules for inventory and ordering. New import/export tree survey options: Generate existing site conditions from GIS and tree survey data without the need for external tools. Just use geolocated tree species data to create existing tree objects and export back to clients via Shapefile (SHP), TXT and DXF formats.